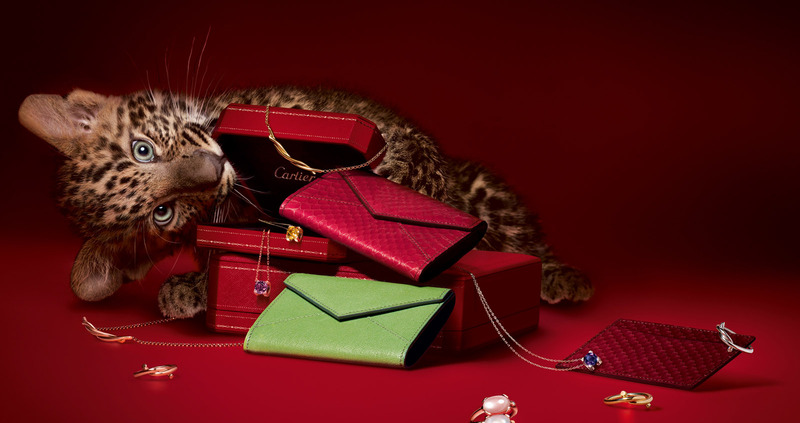 The Cartier Santos Demoiselle, Small Model W25064Z5 Women’s Watch is an enduring, elegant timepiece with a chic look and historical relevance which could only be accomplished by Cartier. The case dimensions of this beautiful watch are 28.25×21.65 millimeters with a 5.5 millimeter thickness. Black Roman Numerals on a square face and dial accentuate the distinct and classic appeal of this Cartier timepiece which is water resistant to 30 meters. The Santos Demoiselle Watch is composed of a steel case, crown and bracelet. Its silver-grained dial, signature Cartier sword-shaped blue steel hands, and Cartier Caliber 157 quartz movement all make this piece an enduring part of the Cartier watch collection. The Cartier Santos Demoiselle Watch was created as a tribute to Santos-Dumont’s 1908 airplane, “The Demoiselle”. Alberto Santos-Dumont, a pioneer of the early flight and friend of Louis Cartier, popularized the use of the wristwatch amongst men in the early 20th century. He found checking a pocket-watch to be troublesome while flying and asked Louis Cartier to create a solution in the form of a men’s wristwatch. The watch Cartier created for Santos-Dumont was displayed in 1979 at the Paris Air Museum next to the original “Demoiselle” airplane. 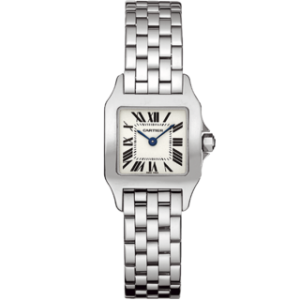 Retailing for $3,650 before tax, the Cartier Santos Demoiselle Women’s Watch is a beautiful addition to any jewelry collection.